Heather and her husband Chris Dunbar are both members of a writing cabal that I belong to. 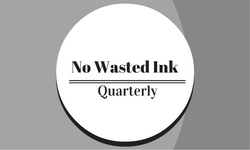 They both have an author interview pending in the works, but I also invited Heather to do a writing space post here at No Wasted Ink. I think you’ll agree that her writing style and tools are unique. 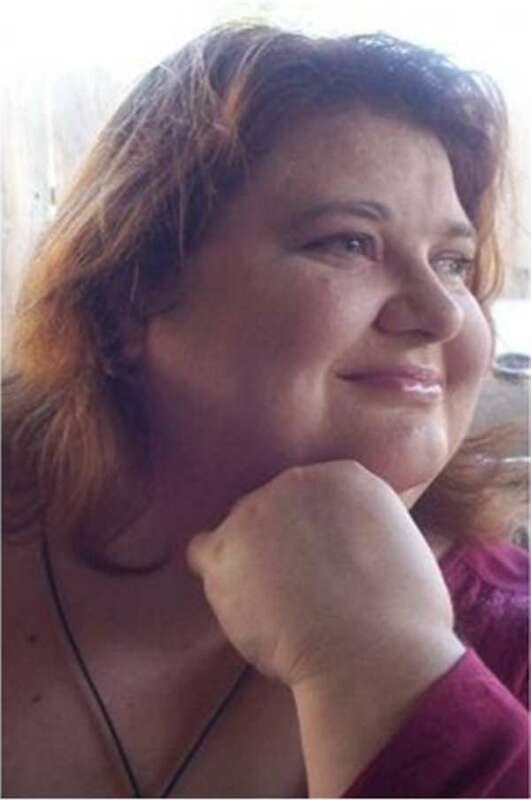 I’m Heather Poinsett-Dunbar, one of the coauthors of the Morrigan’s Brood series. Where do I write books? I suppose the 64 thousand dollar question really is where don’t I write books. I write the first draft with the hubby, Christopher Dunbar, at a variety of places. Generally, since we’re both trying to be gluten-free, we go to several Asian places in the neighborhood. 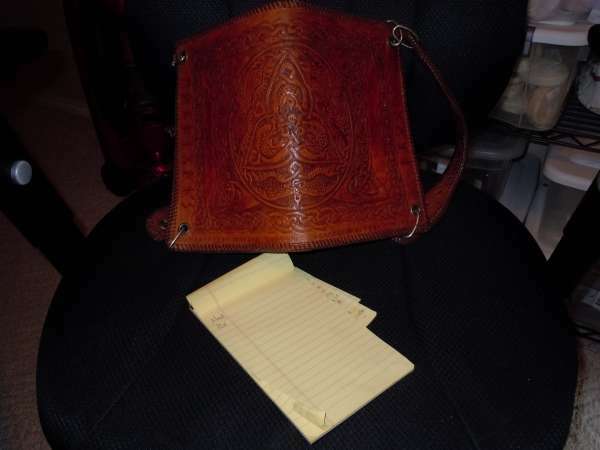 We pull out a legal notepad from what we call the ‘man-purse’ (since Chris usually carries it) and a pen. Yes, we’re that old-school. Then we start writing. We go from one ‘scene’ to the next. Why do we go out? Because we share a house with three cats who talk a lot. Mandi: Lamia, blah, blah, Strigoi, Deargh Du. A: EI is not cooperating. Looks annoyed. MA: Strides in and interrupts them. Who took all my #$@#$!ing bloodmead??? 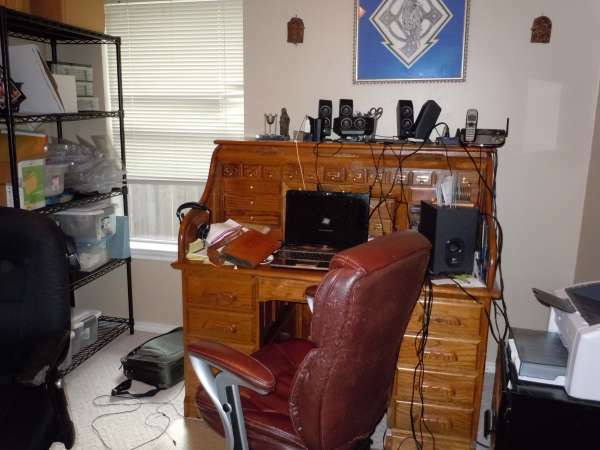 Sometime after that, I generally go to my office (the HeatherCave), light incense and candles, turn off phones, and start typing or talking (I use a speech-to-text program that works for the most part, but it also translates Gaelic names into the most delightful nonsensical ravings). If I’m just typing out our notepads, I’ll play music. Generally, it has to be in a language I don’t know or instrumental, as I will start singing along if it’s in English. Right now, I listen to Corvus Corax, Omnia, Faun, Clannad, Dead Can Dance, Vas, and a lot of soundtracks and trailer music. However, I like to get a musical impression of the historical era that we are writing about. At some point, I take time to kick out the cats and try to ignore their pleas for gooshy food. Sometimes one will sneak in and fall asleep in the extra chair. Other times, I work on the road if we’re at an event or book signing. When I can, I type at lunch at work, but my office is my favorite place to type and think. Right now, there is a pile of 10 notepads waiting to be transcribed, as my job is a tad stressful of late. Hopefully, I will get back into the flow of things very soon. Generally, after typing out the dialogue that Chris and I wrote, I go through and add details. I am a librarian, which means I basically research as a hobby. So, I go through our print reference materials in my library at home and then I start accessing historical electronic databases that will help me add a bit of realism to our writings. We’re both history nerds, so this is a lot of fun for us both. Once I’m done, I send things back to Chris, he reads and adds to the draft, I accept or add changes, and boom, it scampers away to the editor. 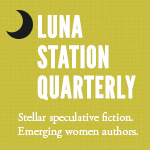 If you’d like to read more about our adventures in authoring, be sure to visit our blog! Harry Harrison was a writer from the world of comics and science-fiction magazines of the 1950s. An amazingly prolific author, Harrison was an extremely popular icon in the science fiction world. He was known for his self-aware wit combined with biting satire, his distrust of the military and tax officials, and above all his intelligence combined with a range of moral, ethical and literary sensibilities. His best known work consists of fast-paced parodies of traditional space-opera adventures including the Deathworld series, The Stainless Steel Rat books, and the books about Bill, the Galactic Hero. His writing presented many interesting contradictions. Harrison wrote his novels in the parlance of a conservative minded voice, but framed his ideas with the conscience of a liberal and laced with a sharp awareness of the lack of literary values in the works he was parodying. Harrison started out his career by being drafted into the US Army Air Corps during World War II. He became a sharpshooter, a MP, a gunnery instructor, and a specialist in the proto-types of computer-aided bomb-sights and gun turrets. During his military service, he learned Esperanto, a language that would be featured in many of his future novels. Once he was discharged, he went to study art at Hunter College in New York. By the end of the 1940s, Harrison was running his own small studio specializing in selling illustrations to comics and science fiction magazines. He thought himself as a commercial artist at this time instead of as a writer. However, he slowly moved from drawing illustrations to editing a few magazines. As the market for comics began to dwindle, Harrison began writing stories for science fiction magazines to supplement his income. Due to the low pay involved with writing, he moved his wife Joan and their children to Mexico where living expenses were cheaper. It was the first of many international moves for his family. From Mexico, they went to Britain, then to Italy, and then to Denmark. They stayed in Denmark for seven years since he and his wife believed it a good place to raise their two children, but eventually they returned to the west coast of the United States. Later, because Harrison had an Irish grandparent, he was able to become a citizen of Ireland and took advantage of the Irish tax exemption where writers enjoy tax-free status. Harrison remained in Ireland until his wife Joan died in 2002. The blow of her death disheartened him and he moved to Britain and lived his remaining years there until he died in August of 2012 at the age of 87. 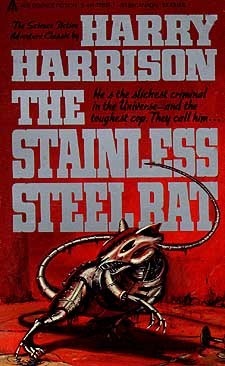 The cover blurb of Harrison’s novel The Stainless Steel Rat proclaims: “We must be as stealthy as rats in the wainscoting of their society. It was easier in the old days, of course, and society had more rats when the rules were looser, just as old wooden buildings have more rats than concrete buildings. But there are rats in the building now as well. Now that society is all ferrocrete and stainless steel there are fewer gaps in the joints. It takes a very smart rat indeed to find these openings. Only a stainless steel rat can be at home in this environment.” Harry Harrison thus introduces Slippery Jim deGriz, the self proclaimed rat of a sterile society that has bred out the criminal element among humanity. In an earlier age, he would have been a soldier of fortune with a heart of gold, seeking adventure and treasure. In this tale of the far future, he is a mastermind criminal who is recruited by a mysterious “special corps” to seek out and and fight what little crime is left in human inhabited space. His first assignment is to hunt down a serial killer, who turns out to be a beautiful woman. Naturally, the Rat falls in love, but has he met his match? During my high school years, I had a habit of reading seven to eight books a week, more if they were shorter. I could be seen riding my bicycle with a large backpack filled with volumes at any give day of the week. I ended up “reading out” our two local public libraries in the small town that I grew up in. Harry Harrison’s novels were part of that long list of books I absorbed during this time period and the characters and humor have stuck with me down through the years. Are the stainless steel rat stories classics? Maybe not, but they have surprisingly stayed fresh down through the years. Slippery Jim deGriz and his lovely wife Angelina are memorable characters that should not be missed. The Stainless Steel Rat series is not in the public domain. You can find copies at any well stocked book store or at your public library. The Stainless Steel Rat, 12 episodes, 2000 AD progs 140–151 (Nov. 1979 to Feb. 1980). The Stainless Steel Rat Saves the World, 12 episodes, 2000 AD progs 166–177 (June to Sep. 1980). The Stainless Steel Rat for President, 12 episodes, 2000 AD progs 393–404 (Nov. 1984 to Feb. 1985). All comics were adapted by Kelvin Gosnell and drawn by Carlos Ezquerra. Ezquerra drew Jim with an appearance modeled on the actor James Coburn. A regular on the science fiction convention circuit, he was known for chatting for hours with his fans or playing his guitar to entertain. Although he suffered from asthma all his life, an illness that eventually killed him, Dickson published two to three novels a year for five decades for a total of over 80 novels and 100 short stories. Dickson is most famous for his Childe Cycle series and the Dragon Knight series, although the Hoka series he penned with Poul Anderson is certainly a well known favorite. Joel Rosenberg said of him, “He’s just one of those people who have had an impact on everybody in the field. He got his start in ’50s and has been a major force ever since.” Dickson was a past president of the Science Fiction Writers of America and had won three Hugo awards and one Nebula award before his passing at age 77 in the year 2001. The Dragon and the George begins with 20th century academic Jim Eckert traveling to an alternate world via astral projection where magic is real, people live in feudal style and dragons not only can talk, but refer to humans as “georges” after the famous St. George the dragonslayer. Something goes awry and Jim finds himself trapped in the body of a young dragon named Gorbash. Not only does Jim have to deal with living life as a dragon, but he is also on a quest to rescue his fiancee Angie who is being held hostage by the Dark Powers of the world. Jim is mentored by the wizard Silvanus Carolinus in magic and is aided on his quest by humans such as Dafydd Ap Hywel the welsh longbowman, Sir Brian Neville-Smythe a Knight Errant and the dire wolf Aragh who can speak and is quite abrasive. Several dragons come to his aid in the final battle, believing he is their friend Gorbash, such as the mere-dragon Secoh and Gorbash’s grand-uncle Smrgol. In the end, Sir James Eckert has to make a final decision. Does he remain in this alternate world of magic or return to our world and live the life of an underpaid junior academic? 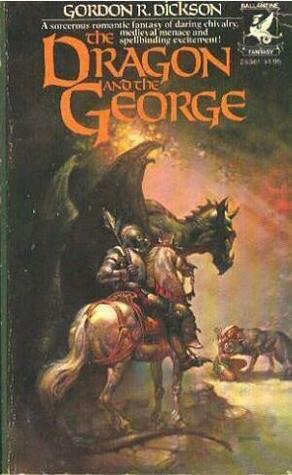 The Dragon and the George was one of those novels that has simply stuck with me down through the years. I first read it back as a kid when it was newly published in 1976. I fell in love with the story and it became one of my favorite books. It was the first novel I had read of Gordon R. Dickson’s, but it certainly was not the last. I did not read many of the follow ups because during the 1990s when they were written, I was busy in college and didn’t realize that they had been published, but they are all on my must read list. What I like about Dickson’s work is the humorous characters and situations he puts into his novels, but also the underlying since of personal responsibility that all his protagonists seem to have. Some may consider his work “dated”, but the wry humor and comic situations still stand the test of time. His work is a great example of classic science fiction romance. You can find The Dragon and the George online at most major booksellers. The Dragon and the George was made into an animated movie called “Flight of Dragons” (1982). Ray Bradbury was an American fantasy, science fiction, and mystery fiction writer. He was known for his dystopian novel Fahrenheit 451 and for the science fiction and horror stories gathered together in The Martian Chronicles and The Illustrated Man. Many of Bradbury’s works have been adapted into television and films and he has left his stamp on the science fiction and fantasy genres as one of the masters other authors set their own standards by. Bradbury did not go to college and instead took a job selling newspapers once he graduated from high school. He said of this time, “Libraries raised me. I don’t believe in colleges and universities. I believe in libraries because most students don’t have any money. When I graduated from high school, it was during the Depression and we had no money. 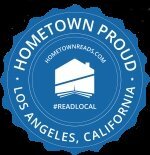 I couldn’t go to college, so I went to the library three days a week for 10 years.” In fact, Bradbury wrote Fahrenheit 451 at the UCLA’s Powell Library where he rented a typewriter in one of their study rooms. The rental rate for completing the entire novel was around $9.80 since the rental of the manual typewriter was ten cents per half hour. In his later years, Ray Bradbury became a well sought out speaker at literary events in the Southern California area. He never obtained a driver’s license and did not enjoy travel. It was well known on the speaker circuit, if you wanted Ray Bradbury to speak at your event, you had best arrange to have a driver come and get him. I regret that I did not take the opportunity to meet Mr. Bradbury in person before he passed away in December of 2011. He was a favorite on the literary speaker’s circuit in Southern California and I personally know many writers that consider him to be an inspiration and mentor, in fact, my own writing society meets in a public library room dedicated to his name. Mr. Bradbury’s burial place is in Los Angeles with a headstone that reads “Author of Fahrenheit 451”. This one novel was his favorite and the one that he was likely the most proud of. Fahrenheit 451 is a novel that has many layers. On the surface, it is the story of Guy Montag. He is a fireman, but instead of putting out fires, his job is to seek out books, which are forbidden due to his society’s views as their being the source of all unhappiness and discord, and burn them to cinders. One day on the job, he picks up a book and instead of burning it, it reads it. His life is transformed. Now, instead of being a normal part of his society, he is a dissent who wishes to protect and preserve these ideas and words from the past until a new generation may come to pass that will appreciate these pearls of wisdom hidden in books. 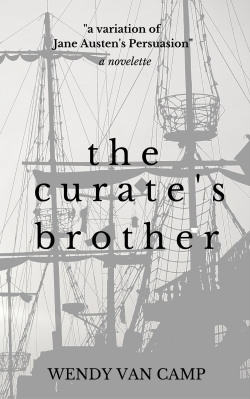 He discovers a group of people that have memorized the books of the ages and repeat them orally in order to preserve the words in a way that their society can not destroy. However, is this really what this classic novel is all about? Is it all censorship and book burning? Bradbury predicted a future where people wore radios that plugged their ears to the world around them so that they would focus on the world of media only. A concept that is a precursor to iPods and smartphones where the world of social media becomes as important to us as the physical world outside. In the novel, walls of televisions soothed the souls of people that only wanted to be happy and not look too closely at what was happening around them. They did not think for themselves, but rather based their views on what was fed to them by their media. With our giant HD television sets and giant computer monitors, it could be a mirror of how people perceive the world of today. The burning of books by Fireman Montag almost seems a throw away plot to the theme that is placed under the fast paced action of this story. Bradbury always claimed that this was not a book about censorship, which the burning of books suggests, but rather a social commentary about what happens when society presses in and takes away individual freedom and thought. In the world of Guy Montag books were ultimately banned because they made people feel “bad” or insulted some minority group. Individual expression or original thinking was not encouraged. 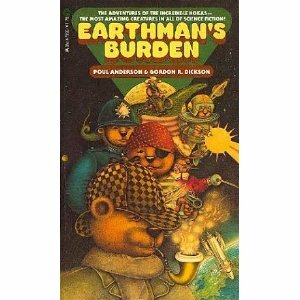 I sometimes can see in my mind Ray Bradbury typing away at the public library as he writes this book. He was a child who could not afford to go to college, to be molded by society. He was an independent thinker who took his views from the tomes that surrounded him in his library setting. I can understand his love of books and the value of treasuring what went on in the past in the way that it was preserved by previous generations and taking from it ideas to change our own futures. To allow the quiet of a book speak to you in ways that social media can not. Fahrenheit 451 is not in the public domain, so you will need to purchase it at your local bookstore or online. It is frequently found at your local library to borrow for free. 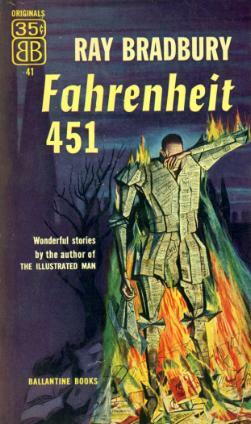 When the publishing rights for Fahrenheit 451 came up for renewal in December 2011, just before Bradbury’s death, he allowed that the work could be published as an ebook provided that the publisher, Simon & Schuster, would allow the novel to be digitally downloaded by any library patron. The title remains the only book in the Simon & Schuster catalog where this is possible.